Here we go again! 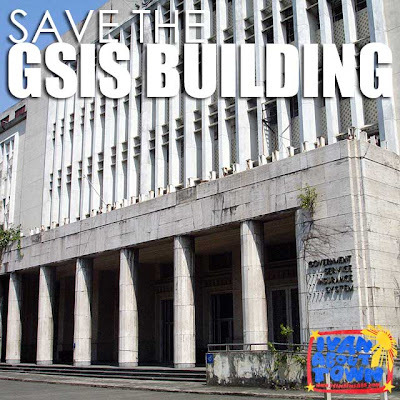 News is circulating that the GSIS Building, built between 1952 and 1954, is set for demolition. Time to bang on the doors of Manila City Hall for them to implement the law! Update (07/25/2012): The GSIS Building will be incorporated with the new Hall of Justice of the Supreme Court. We thank the National Historical Commission of the Philippines and the Supreme Court for this development. 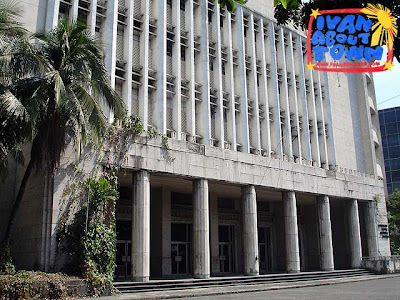 Update (07/11/2012): We just received information that engineers from Manila City Hall had written the owner of the GSIS Building ordering its demolition. In a few days, we remember the Jai Alai tragedy. We should not let it happen again! Archt. Dominic Galicia informed us, "Reliable reports say that there are renewed and very serious pressures to demolish the old GSIS headquarters building behind Manila City Hall. Only the attention of media and the general public can save it, by reminding Manila City Hall that the Heritage Law, Republic Act 10066, protects this beautiful landmark." We are hearing reports that Manila City Hall has given the OK to demolish the old GSIS Headquarters building on Arroceros Street designed by Federico Ilustre. The Heritage Law states that it would be a crime to demolish a structure of this vintage, which is older than 50 years, without permission from the NCCA. Considering the cultural value of this structure, that permission is not likely to be forthcoming. See the attached photo from Paulo Alcazaren's archive. It's abandoned and needing repair, but still a beautiful, elegant and intelligent response to climate and site, eminently suitable via adaptive reuse for whatever new purpose comes to bear. On the heels of February's demolition of the old Meralco Building on San Marcelino and, soon after, the Laperal Building on Claro M. Recto, this first half of 2012 could live in patrimonial infamy, in spite of all the strides being made with Manila Central Post Office and Escolta. Please write Manila Mayor Alfredo Lim at mayorlim@manila.gov.ph. 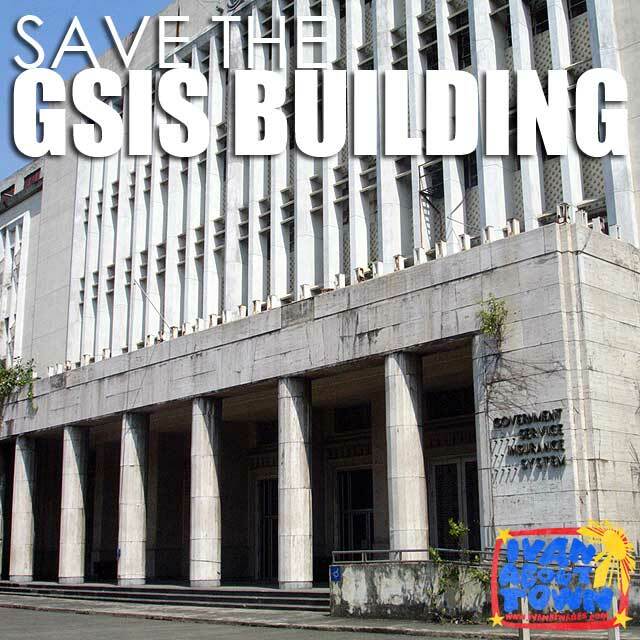 Let him know that the old GSIS Building can be saved via adaptive reuse. It is also important that you cc: your email to hcs_secretariat@yahoo.com. HCS will help make sure that the Mayor sees your message. HCS members checked Wikimapia. And lo and behold, the GSIS Building is labeled as SM Manila's Annex! Note: We have yet to confirm who has plans for the property. We were told that the owner as of early last year was the Supreme Court. They had swapped the Jai Alai property with the GSIS Building and that they plan to build their Hall of Justice. Isn't it ironic if another heritage building is torn down for the same purpose? 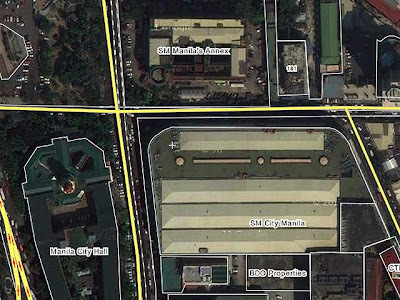 Another piece of information comes from Wikimapia and that it will allegedly become an annex of SM Manila. If the GSIS Building is torn down to make way for another SM building, that will add to their crimes against heritage which includes the demolition of the San Lazaro Hippodrome (now SM San Lazaro), YMCA (now SM Manila), Pines Hotel (now SM Baguio) and the many pine trees they massacred to build the mall, Emilio Aguinaldo College (now SaveMore Sta. Ana) and the Benguet Building of National Artist Leandro Locsin among many others. More photos of the GSIS Building in SkyscraperCity. tell Mayor Lim to hold the construction permit. Don't issue demolition permit dapat, or suspend if issued already. Please help by sending e-mail to him. Thanks! E-mail to Mayor Lim has been sent. Thanks for sharing this info, Ivan. I will let my architect friends know about this and have them send e-mails to Mayor Lim, as well. why not renovate this building then after its done transfer all the offices in the manila city hall there temporarily then renovate the manila city hall. i read in an article that the nhi(national historical institute and ncca (national commision for the culture and the arts) had a say about the demolition which was planned way back in 2010. there was a meeeting, along with the city government and sc (supreme court). It think that was way before the heritage-saving law. I witnessed the piledriving and construction of this building together with my sister and classmate when we traverse Arroceros st. going toward MWSS and BPS in 1954. 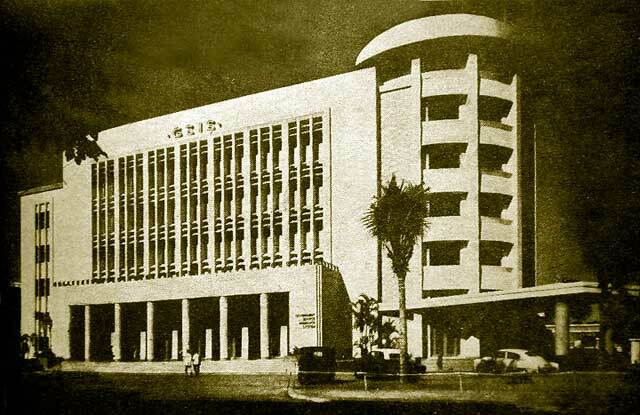 My mother eventually opened a cariendera to serve the GSIS employees when it opened in 1957. I was told that a television station used to transmit from that old GSIS building (notice an old-style batwing antenna atop the structure). Does anyone know which network was it? 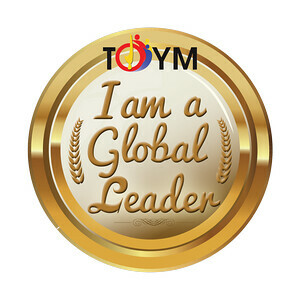 Looks like Lim will stand to benefit from this new SM endeavor. The government needs to control the expansion of this SM monster. Look what he did in DLSU; they funded this horrid block on top of lush greenery. SM knows they will benefit from that since they'll also build a new condo by the campus. Time to put restrictions and update the zoning to end this "malling" of the metro.